From the homescreen, click on ‘Go to log’. Click on the item you want to edit/delete. Click on the ‘bin’ icon to delete the item from your log. 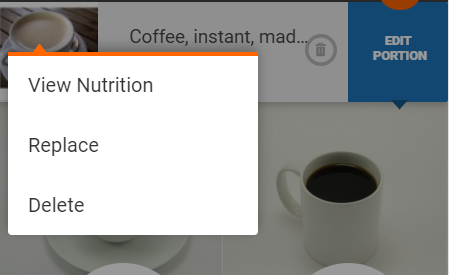 Alternatively, long press the item name and click on ‘delete’ or swipe right over the item name to delete it. Long press on an item and click on ‘replace’ to swap it out for another item. 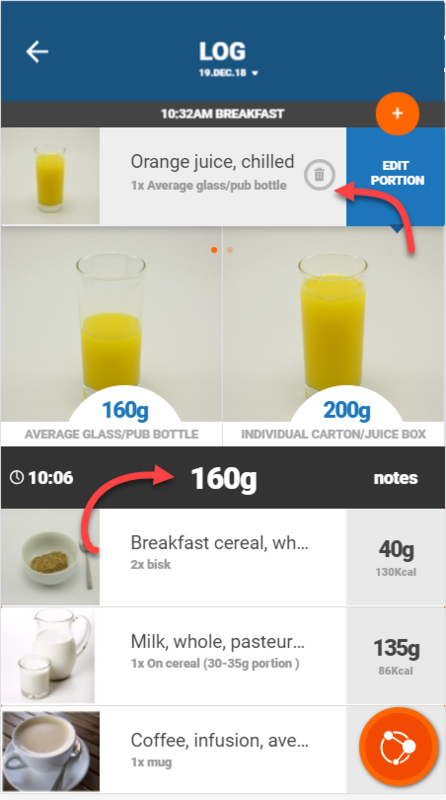 To edit the portion size for an item in your log, open your log, click on the food/recipe you want to edit and then click on a portion size photo to select that portion, or manually edit the portion size by clicking on the portion quantity.